Moringa (Moringa oleifera) is a fast-growing, drought-resistant tree widely cultivated in tropical and subtropical areas where its young seed pods and leaves are used as vegetables and sometimes used in herbal medicines. Moringa leaves are a great source of selenium, calcium, iron, vitamin E, magnesium and B vitamins in addition to varying amounts of other phytonutrients and antioxidants, like beta-carotene and vitamin C. Learn about Moringa on WebMD. Moringa is a perennial plant in the Moringaceae family; the tree has an open crown of drooping, fragile branches and the leaves build up to a feathery foliage of tripinnate leaves. 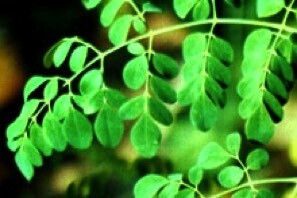 Moringa sometimes goes by the name, drumstick tree (from the appearance of its long, slender, triangular seed-pods).